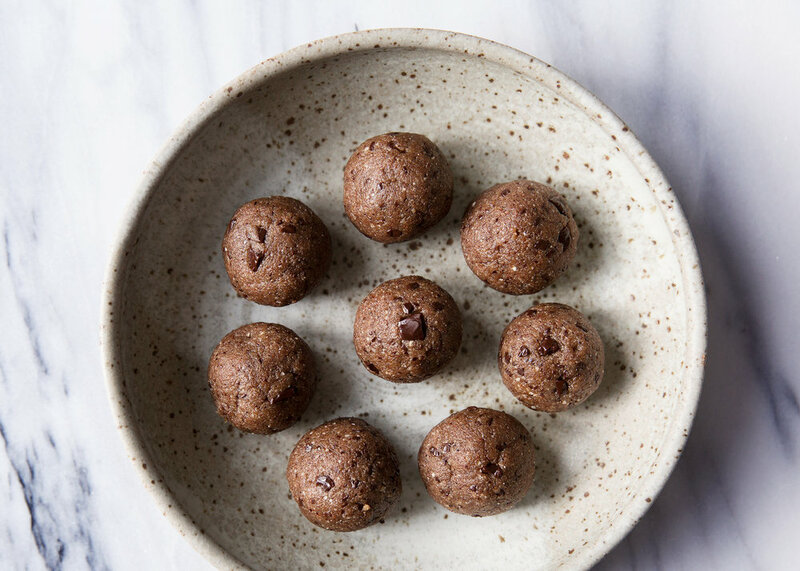 This has to be my most delicious bliss ball recipe so far (find some of my previous recipes here and here ) and that's probably because I added more or less ALL of my favorite everyday ingredients here. So how could they be anything but delicious? 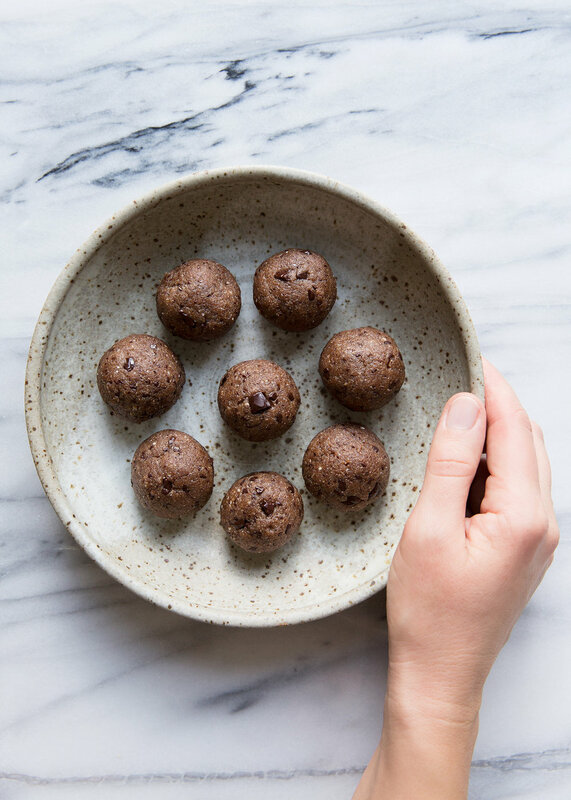 I love bliss balls simply because they are so handy whether at home and in need of a quick fuel, or on the road/on location job with no or little time to eat "proper" food. One or two of these balls keep me going until I have time for a proper meal. And these are packed with super nutritious ingredients! Almonds and dark chocolate/cacao are both very rich in magnesium. Magnesium is a powerful mineral which plays a super important role in our bodies! This is especially important if you're struggling with PMS, with symptoms like migraines, irritability, low mood, and cramps. Maca is the adaptogen with the most pleasant flavor (if you ask me). The flavor reminds me of vanilla and malt, like in Maltesers. It is also said to be an energizing aphrodisiac and stress manager. Plus it may help support your endocrine system and thyroid, and help balance your hormones. Ashwagandha is an adaptogen that may help soothing your nervous system and boost immunity. It can also aid in fertility and supports you during your menstrual cycle- mainly because its such a rich source of iron. I hope you'll like the recipe! Enjoy! 1) Process all ingredients (except the chocolate) in a food processor until a sticky dough forms. 2) Add the chocolate and pulse a few times. 3) Roll into balls (makes about 12). Balls will keep in freezer for 1-2 months or in the refrigerator for 1 week. Enjoy!